Following are the remainder of the congregational models I have identified which are now observable in and around the Messianic Jewish Movement. See how many of these models you have encountered, and which ones do you think are good news and which bad news for the Messianic Jewish movement and for the Jewish people? To see the previous list, see here. 9. Mulligan Stew Congregations – These are Jewish style congregations where the communal life and services are a haphazard mixture of anything Jewish that happens to be lying around: blowing shofars, Star of David tambourines, Jewish music, everyone and anyone wearing a tallit, services with some Jewish prayers but without proper regard for for the proper order of services nor their depth. They are Jewish-ish hodge podge services and create a strange breed of people who may be “nice” and even “godly” people, but who come across as weird to normal Jews. 10. B’nai First Baptist Church – This is what you find in the services of some Jewish missions. There are Jewish artitifacts of one kind or another, but the services is really a Church service in e-minor, with greetings at the beginning, a few prayers, maybe some special music before the sermon which is the centerpiece of the service, perhaps an offering, and even an invitation. 11. Tourist Centers – These are congregations which are visited by Christians who are members of churches, but who want a little or a lot of mint, dill, and cummin—Jewish spice in their spiritual lives, They are not really committed to the Messianic congregation they attend, and either may be rooted in their church homes, or may not be meaningfully committed to their churches either. In either case, messianic congregations that specialize in serving such people do not thereby gain real members, because such people are not committed and are likely not appropriate to the congregation anyway. Often, such people bring other tourists go look and listen too. 12. Jewish Roots Congregations – In the name of helping Christians discover their Jewish roots, these congregations specialize in marketing the alleged mystique and higher level of spiritual knowledge available through the Jewish perspective. I suspect that such congregations are often driven by a combination of financial considerations (there are so many Gentiles out there who are interested in Jewish roots, and too few Jews interested in Yeshua), naïve gnosticism (this is the secret truth that most Christians don’t know), and a tendency to dismiss the church as fundamentally contaminated and apostate because “They do not keep the Law, “ and/or, “They don’t celebrate the Feasts.” The point such people do not catch is that the church is not supposed to “celebrate the Feasts” or “keep the Law, “ because these are the patrimony of Israel. That the Church does not keep these things absolutely does not and cannot mark the church as apostate, and this kind of sectarian rhetoric not only should not be countenanced, it is in fact deplorable. The Apostle to the Gentiles, Saul of Tarsus, says that the Jews have certain advantages, and among them he says, “They are Israelites, and to them belong the adoption, the glory, the covenants, the giving of the law, the worship, and the promises” (Romans 9:4-5). 13. Koinonitis Congregations – The Greek word koinonia means “fellowship” or “parntership,” and whoc could complain! This is not bad! But koinonia/fellowship/partnership is one thing and Koinonitis is another, because the latter condition describes congregations that exist primarily for the relationships shared among the members of the congregation to the exclusion of any responsiblity to those outside of the congregation. There is no real sense of “mission” (shlichut), of being sent and being responsible for reaching or influencing a particular people. Instead, members of the congregation are happy each week to dance, eat, worship, and hang out together. And the purpose of the congregation is limited to keeping this “good thing” going. And I imagine many reading this have seen koinonitis in action . By the way, the term was invented by C. Peter Wagner, who used the term in teaching about church growth. 14. Mission Stations – These are meeting places where Bible studies and services of one kind or another are conducted, but one wonders if these “congregations” are are congregations at all since their leaders are salaried by mission organizations that also set the policy of the meetings. The members of such congregations have little if any decision making power, and in fact represent a target audience sometimes extolled as emblems of success to the mission’s mailing list. 15. 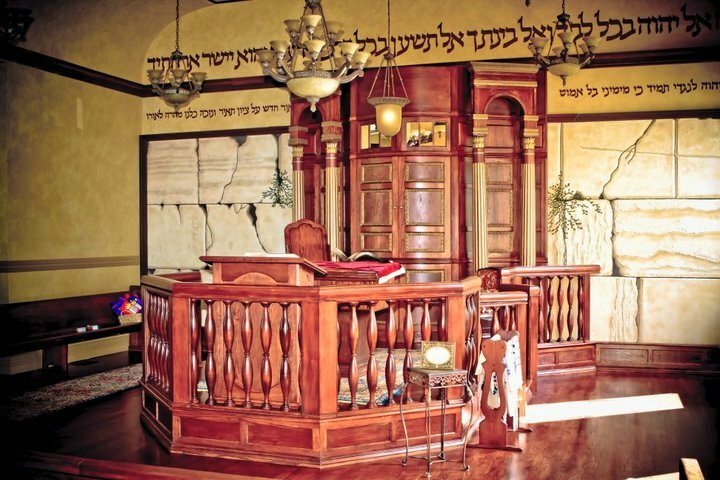 Jewish Messianic Synagogues – In such congregations, one seeks to preserve every possible scrap of continuity with the wider Jewish world and to help Jews and their children to grow as Jews. Such congregations see the Jewish community as their primary community of reference. In this regard, they seek to develop not a Jewish version of Christianity, but a Judaism that accords to Yeshua his proper place and honor. Among the convictions driving such a group: Their calling from God is to obey Him in Jewish ways, just as did the early Jewish Yeshua believers. As part of the Remnant of Israel, members view it as their responsibility to be a seed, a sign, a demonstration and a catalyst of God’s consummating purposes for Israel, forming credible Jewish communities which honor Yeshua as Messiah. Rather than looking to be credible to visiting Christians, they seek rather to be credible communities to Jews, while honoring Yeshua as Messiah. (This is the issue of community of reference). They are convinced that it is by being part of the Jewish community, living Jewish lives, that they serve as the living link between the Church from among the Nations and the Commonwealth of Israel. Together with Gentile Christians living faithful lives in the Church world, living faithful lives in the Jewish world, they constitute the true One New Man, a differentiated unity. The One New Man is not something that is supposed to happen on the local level. Does anyone believe that a Korean Church is unbiblical until it has Jewish members as a manifestation of the One New Man? Neither should we imagine that a Messianic Jewish congregation must have Gentiles to embody or honor the One New Man of which Paul speaks in Ephesians chapter two. In fact, it is only as Jewish believers in Yeshua live as Jewish communities, honoring God in the context of Jewish life, and as Gentile Christians live in Church communities, faithful to God in their context, all living in brotherly fellowship with each other, that we together constitute One New Man, an evidence of God’s reconciling those who are and who remain essentially different. Such congregations will not and should not all be “orthodox.” Some will feel more like a Conservative, Reconstructionist, or Reform Jewish congregation. But ALL should feel like Jewish space, authentically in harmony with what Jews experience in the wider Jewish world. The question remains, “What about the Gentiles in our congregations? Can there be any place for them?” It depends what the purpose of the particular congregation is and how those Gentiles fit in with that purpose, or not. When a Jew comes to a Messianic congregation, unless he is an axe murderer or disrruptor in some sense, he is welcome and hs presecne helps to establish the congregation as Jewish space. But Gentiles are different: they must earn their right to be there because their presence does not in itself make an implicit point that Yeshua is indeed the Messiah of Israel, and that Jews can and do beleive in him. The bottom line is that a Gentiles in a Messianic Jewish congregation should be there to serve God’s purposes for the congregation rather than simply to have their own needs met, or, God forbid, their demands accommodated. Vindicating Israel as God’s people, and the Living God as the God of Israel. 16. Synagogues in the Wider Jewish World. There are some Messianic Jews who attend synagogues in the wider Jewish world and are known as such by the leaders of such congregations. This is a rare and highly controversial practice that must be handled delicately. In general, the practice is forbidden by Jewish denominational and professional agencies, and many in the evangelical world would categorically dismiss such a practice as a betrayal at worst, or compromises at best of the Messianic Jews’ responsibilities and identity. However, the practice is so rare and exceptional that it fails to supply a sufficient pool of data from which to draw conclusions. When such Messianic Jews in question behave respectfully and show themselves to be knowledgeable about Jewish life, at the very least such behavior disproves many of the dismissive and alarmist stereotypes that people harbor about us. If you are or have been involved in a Messianic Jewish congregation, which models have you observed? Which hybrids have you observed? And in what direction(s) do you believe the Messianic Jewish movement needs to move, if so how, and if not now when? As you know I moved and as such I am enjoying a new congregation I have just “met”. I am enjoying this conversation as it is one I am challenged with there. I am also sharing your blog with them the congregation I am currently attending. which is a mish mash of 7, 9 and 12 and a few charismatic types or at the least==emotional worshipers. And as you know I am present in 16 as much as I can — not weekly by any means–but if not us who? Meaning that if we as Jewish believers in Messiah do not go to the synagogues to be present to shed light and to question then who will go? Who will be there when my mom, dad and brother say to themselves–the message today at Shul was about Messiah—do we believe in that? As I often get phone calls like that. You remember the story of how my daughter stood up for Messiah to the Rabbi where we used to live. He questioned if she believed that Jesus was the Messiah because she “knew too much about the Bible” After she validated this, she threw the question back to the Rabbi–I have a question for you? }Are you going to treat us any different? Are we still welcome here?” He said we were. This happened to a second rabbi in Iowa as well. The fact remains we as believers can be present in some communities–not to say in some cases we may be forsaken or thrown out for His cause–and this would be biblical and a blessing–but on the rare occasion when we do get in the door and do get to sit amongst and fellowship we have a unique opportunity to share the true Messiah in a light that can tear down stereotypes and barriers or as an example what my mom thinks of Christians (basically a bad connotation–some kind of cult like the crazy guy with the child brides, the Waco Texas people or left over negativity form WWII and the crusades). It is only as she sees the “loving community in Yeshua” that I have even as I move around the US from place to place and yet everywhere I go—there is a one body– love for the believer– a place that welcomes me and my family and provides support in that she the hands and feet of Messiah. So if we are not there in their midst—who will be? I have challenged my new congregation about their goal to be a light to the Jewish community and to share Yeshua with them and to be a “bridge”. My comment when I first arrived was how exactly are you doing that? I was the only Jew in the place–and none of them were making any effort to cross those boundaries to the Jews in this community. So…Fiddler on the Roof was playing at the playhouse–Im like–you should go! I mean many Christians just don’t know how to talk to Jews. Meaning–there is a Jewish musical in town–you bet there will be at least some Jews in the audience, maybe you will make a friend, start a conversation….. High holidays–I said–instead of having a “special service” get out there in the community and attend a synagogue and make a friend and see what its all about. How can you be a light to the Jewish community if you don’t know them–don’t know their practices and are not taking steps to do that. Second comment–what is your answer when these MJ congregations are 99% gentile….should they disband? should they keep trying to attract the Jewish believers or bring in the lost flock? Is there any hope without a large—at least minority of Jews…..What is the answer to this..
Finally–I am looking forward to seeing you next weekend at your speaking engagement and service–and I am bringing a group from this congregation as well. Hope we can get a chance to chat about these things. I could frame your response, Ellen. Thanks you for taking the time to write it. We have seen bits and pieces of a number of the communities described in the last two blogs. We are currently in a blend of #15 & 16, which can get a little hectic at times balancing both communities. This is probably not the ideal situation but it works for us for now. Do you make a distinction between being Torah-observant and living according to the teachings of the rabbis? Well, I try and follow the teachings of Yeshua who said, “2 “The Torah-teachers and the P’rushim,” he said, “sit in the seat of Moshe. 3 So whatever they tell you, take care to do it. But don’t do what they do, because they talk but don’t act!” As Yeshua told us to do, I try and do whatever they tell us to do, because it is THEY who have the authority to interpret Torah, while not imitating their bad example, which he chronicles in that chapter. I don’t consider the term “the rabbis” to be a swear word or a negative category, and like I said, Yeshua says they have the authority to interpret Torah and that we should “take care” to “do whatever they tell [us],” while not following their example when they fail to practice what they preach. By the way, this is not slavish obedience, but rather respect for their right to teach the Jewish people about what Judaism is. There is respectful interaction and even disagreement, a very Jewish thing. I am curious: what do YOU do with this passage from Matthew? And do you see how when Messianic Jews avoid “the religion of the rabbis” we build a barrier between ourselves and our people? At the time that Yeshua said that, He was speaking to unsaved Jews. For any Jew pre-salvation, this would be the right thing to do. Post-salvation, we are called to be imitators of Messiah, and he did not live according to rabbinic teaching. He brought it into question instead. If all we have to offer our Jewish brothers is what they already have, and which they have turned away from in droves, aren’t we doing them a disservice? It is a REACH to say that “When Yeshua said that (I am not sure what “that” is which you are speaking of), He was speaking to unsaved Jews. First of all, the comments have been sharing are from the Gospel of Matthew, which was written long after the resurrection, and disseminated among Yeshua believers. It is untenable that the comments recorded there expired long before and were not meant to apply to Jewish Yeshua believers—these things were recorded for the instruction of the communities among whom this Gospel was distributed and read. And this pre-salvation argument falls apart entirely when you consider the texts I quoted from Acts 21, recording events 14-21 years after Pentecost. The many thousands of Jews who believed in Yeshua there in Jerusalem were ALL zealous for Torah, all involved in the Temple, all living identifiably Jewish lives—halachic lives. As for Yeshua’s arguments with the Scribes and Pharisees, these were just like the arguments you find in the Talmud. They were discussions about the proper way for Torah to be applied, NOT dismissals of Torah. And these kinds of disagreements were and remain standard in traditional Jewish space. At any rate, you failed to deal with the text: he says to his disciples “the Pharisees sit in Moses’ seat, therefore do whatever they tell you to do.” IN the same Gospel, we read those comments in Chapter Seven about being diligent to obey Torah, even more rigorously than the Scribes and Pharisees. As for imitating Yeshua, YES, but he is the embodiment of Torah, and not its replacement. The biggest problem about the “all we have to do is imitate Yeshua” argument is that it is entirely subjective. There are people who think they are loving who are not, who think they are moral, and are not, who think they are Christ-like and are not. In addition, the Apostles did not simply follow this line of reasoning. YES, Paul said, “be imitators of me as I am of Messiah,” but he ALSO said this when speaking to the elders of the Jewish community in Rome toward his life’s end: “Brothers, though I had done nothing against our people or the customs of our fathers, yet I was delivered as a prisoner from Jerusalem into the hands of the Romans. (Acts 28:17 ESV). The term “customs” is ethesi, the plural of ethos, a term for the traditional Jewish manner of life. He did not say “commandments,” as if limiting himself to Scripture, but rather, “customs,” a broader term including the kinds of halachic norms with which these Jewish leaders were well familiar. So, it is NOT either/or but both and: YES, “be imitators of Paul as he was of Messiah,” but also imitate him, who, even though he was the Apostle to the gentiles, lived a traditional Jewish life, as Acts 21 and Acts 28 bear out. Also, your argument completely falls to the ground when we realize that the Prophets repeatedly said that God would bring the Jewish people back to Torah obedience at the end of days. Yes, the New Covenant is different, but the difference is that GOD will be the guarantor of the covenant, which will include a deepened relationship with God, faith in Messiah and a Jewish return to Torah in the power of the Spirit, and not simply a turn to some sort of subjectivized imitation of Messiah. Ezek 11:17-20 – Therefore say, ‘Thus says the Lord GOD: I will gather you from the peoples and assemble you out of the countries where you have been scattered, and I will give you the land of Israel.’ And when they come there, they will remove from it all its detestable things and all its abominations. And I will give them one heart, and a new spirit I will put within them. I will remove the heart of stone from their flesh and give them a heart of flesh, that they may walk in my statutes and keep my rules and obey them. And they shall be my people, and I will be their God. Dt 30:6 – And the LORD your God will circumcise your heat and the heart of your offspring, so that you will love the LORD your God with all your heart, and with all your soul, that you may live. Jer 31:33 – I will put my law within them, and I will write it upon their hearts. Jer 32:39 – I will give them one heart and one way, that they may fear me for ever, for their own good and the good of their children after them. You speak of not doing our people a disservice. I agree. It is truly a disservice for us to fail to lead our people back to lives of Torah, in the fullness of the Spirit, which is God’s clearly declared purpose for them—their destiny at the end of days. We in the Messianic Movement do a tremendous disservice to the Jewish community through our assimilated lives which make the claims of Yeshua ridiculous in their eyes. After all, what kind of Mashiach is this that makes goyim out of Jews? Even secular Jews would agree that if there IS a Messiah, he will make Jews into better Jews (and not just into better people in some generalized sense). You might read two excellent articles if you want to see the Scriptural basis for my perspective. The first is by Dr. Rabinowitz, and it deals with the Matthew 23:23 passage indicating that we should follow rabbinical halachic norms. The second is by David Rudolph, proving that Paul taught that Jews who believe in Yeshua should continue to live Torah observant Jewish lives. The evidence is there: but the evidence is scary because it challenges what we have been told with which we have grown comfortable. Yes, you are right that our people have abandoned the Jewish way of life in droves. The Bible has a word for that. It is called sin. But I know you will agree that it is NOT our job to confirm our people in these wayward paths, but to first find our own way back to the paths of Torah, of which we read, “all its ways are pleasantness, and all its paths are peace.” And having returned ourselves, we must find ways to make such a return attractive and effective for our people. After all, Scripture is clear that this is where God is leading our people. Should we not follow? Indeed, should we not take the lead?